The 30 tons of concrete that tumbled from the side of an 80-year-old railroad bridge in Syracuse, N.Y., on July 5 narrowly missed vehicles and no one was injured. But the bridge, which owner New York, Susquehanna & Western Railroad had rated in “fair to good” condition just last year, may not have had an independent inspection. U.S. Sen. Charles Schumer wants to change that. On Aug. 1, Schumer called on the Federal Railroad Administration to increase the number of independent inspectors that examine rail bridges. Railroads, he suggested, might not want to close a bridge for repairs if it means interruptions in freight traffic. 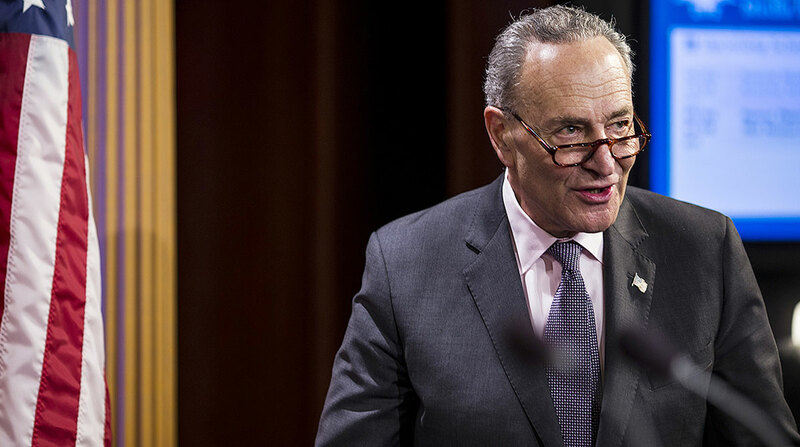 “Private companies … sort of have a bias to say a bridge is safe,” Schumer said. Efforts to reach the Association of American Railroads for comment weren’t successful. FRA, meanwhile, has just three inspectors assigned to check the 3,000 rail bridges statewide, Schumer said. A bridge may have less than a 1% chance of being inspected in any given year. In February, debris fell from a CSX railroad bridge in Schodack onto Route 9J. No one was injured, but Schodack police detoured traffic around the site while debris was cleared and repairs made. “We know upstate New York has some of the oldest and most used infrastructure in the nation,” Schumer said. “The bridges may not have been designed to last as long as they have … The key: Keep up maintenance and safety” inspections.